BMW's new flagship SUV is the first-ever X7. 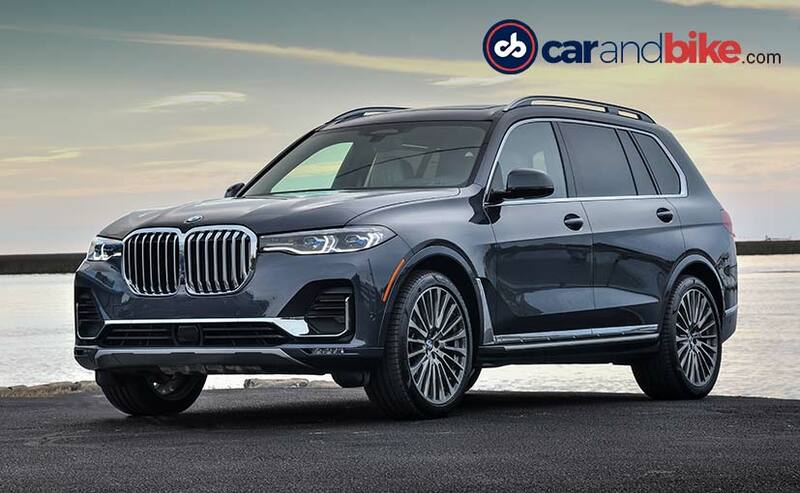 The model finally gives BMW its much-needed standard three-row car, offering new levels of luxury, space and comfort that was so far only seen on BMW's sedan portfolio only until now. 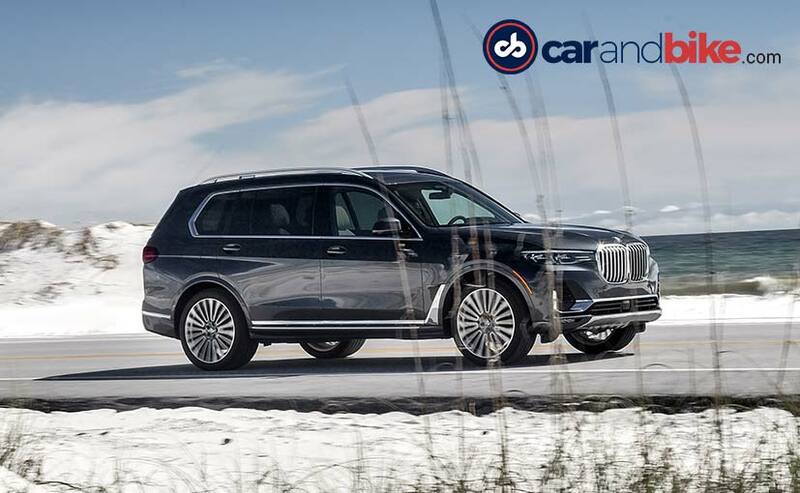 The forecast said thundershowers for the day I was to drive the all-new first-ever BMW X7 flagship SUV on its first ever drive in the United States. 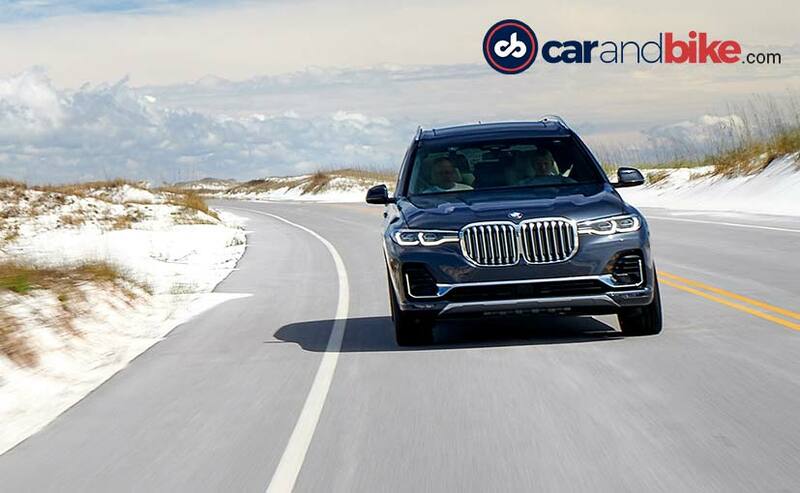 Unlike most global drive programmes for new models, the BMW X7 was not focused on one location. So as media from around the planet came in to drive this beast - each group had the chance to drive the car across a certain geography. And all the while the cars kept moving ahead in a relay of sorts, which saw the drive begin at the BMW plant in Spartanburg, South Carolina to Palm Springs, CA. I had the option to do Las Vegas, Nevada to Los Angeles, California - but having driven in that part of America many times, I chose the much earlier fourth leg, which was Tallahassee, Florida to Baton Rouge, Louisiana - as that is one part of the United States I had not seen. It also turned out to be the longest of the 11 routes the drive was broken into. So the most driving too! 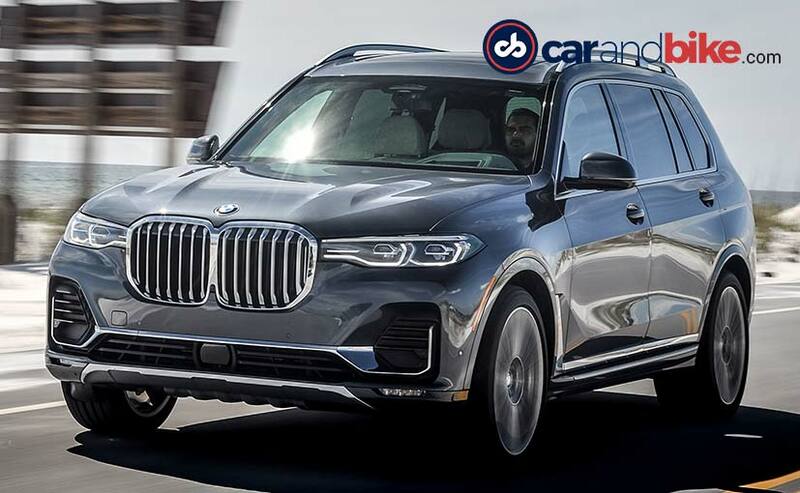 The first-ever X7 is BMW's answer to the Mercedes-Benz GLS, Audi Q7, Lexus LX, Range Rover, Infiniti QX80, and Lincoln Navigator, and Cadillac Escalade. All are full-size SUVs that offer plenty of grunt, ample proportions and the all-important 3rd row of seating. In India we don't have to worry about the Infiniti, Lincoln or Cadillac - but the rest certainly are very much in play. Yet it is the highly successful Mercedes-Benz GL turned GLS that has captured a lot of this market worldwide. 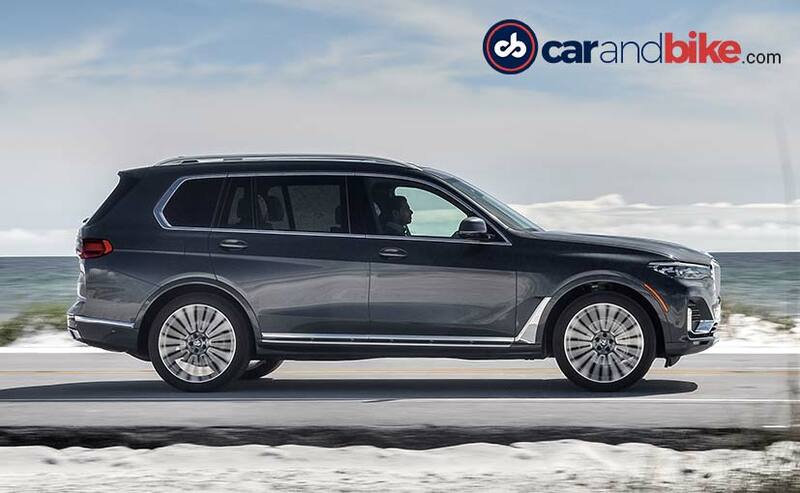 So the BMW X7 had to deliver on performance, but more so on comfort, sophistication, luxury and yes - good looks. So that last part is questionable for many - mainly because of the monstrosity of a big kidney grille up front - the largest in BMW's history! Having spent some time with the car I have surprised myself how I am now totally okay with it. Even though it looks like it can eat you whole! 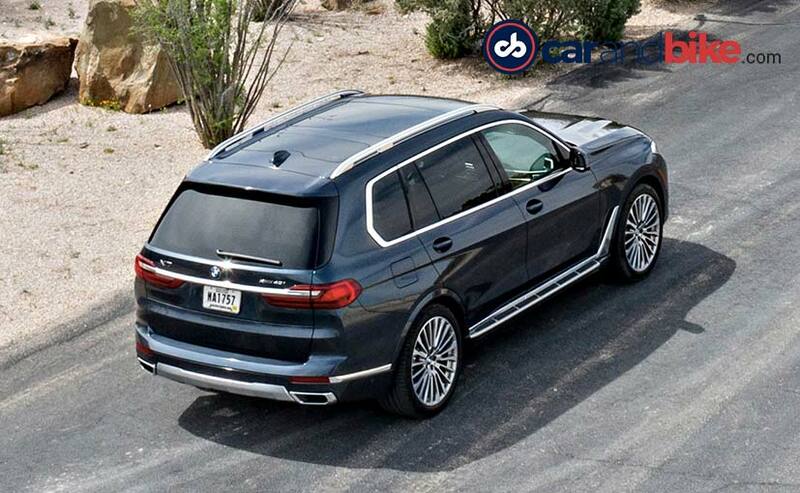 The car with me is the X7 xDrive40i in the new Design Pure Excellence trim. The X7 also has the option of an M-Sport trim. Large and imposing, it certainly is. This is the biggest car that they have ever made for the X range, in BMW's history. And so a 3100 mm wheelbase - yeah get that into your head, there are certain cars that will fit into that footprint. The car's overall length is 5150 mm, its height is 1805 mm and width is 2000 mm. You've got different options when it comes to wheels - 20-22 inch, patterns will vary, and the M-Sport trim gets two-tone finished wheel. You've also got a lot of high gloss black finishes on the different pillars that looks nice, and makes the car look a little more lithe. This trim also gets the satin finish on the window graphic, of course, that would be black in the M sport as well. Lots of chrome bits around, which I think the Indian buyers are going to really like! I would prefer mine with a black finish, I can tell you. Like I said, that part is customizable In the front the largest ever kidney grille, again in BMW's history. It is massive, it is in your face and when you spend a little time with the car, you kind of get used to it! Yes it starts to work. New graphics for the daytime running LED lights. Again lots of chrome down in the bumper, (which will be different in the M Sport trim). The air curtain also finished off in chrome, and the front end of the car gives you a strong sense of power - and so the design's overall focus does bring you back to what is under the hood. Visually I think that works for the car, as it makes it look imposing, and yet not intimidating - which is a good balance. LED lights are standard while you can opt for the Laserlight option if you pay more. 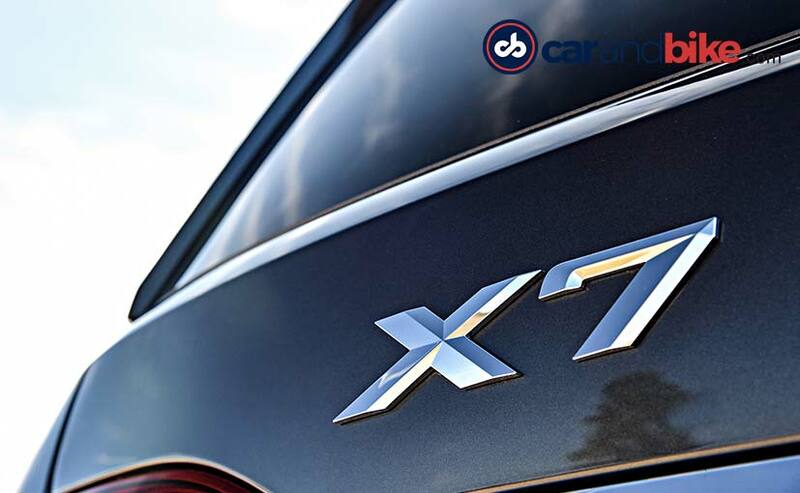 The X7 is being launched with 4 engines - two diesels and two petrols. The X7 xDrive 30d has a 3 litre in-line six, with 260 bhp on tap. The M50d sees the same engine tuned to deliver 392 bhp. On the petrol side you have the 40i with petrol in-line six with 333 bhp power and the top spec petrol V8 with 453 bhp is just for the US. All engines have the 8-Speed Steptronic auto box as standard. Given I was driving in America - there was no hope of getting hands on the diesels anyway. And that is why I picked the 40i for my drive. As you can imagine the xDrive all-wheel-drive system is standard across the range. But so is the two-axle air suspension, active steering and electric active roll stabilisers. This is the flagship of the range and so the epitome of everything on the inside too. 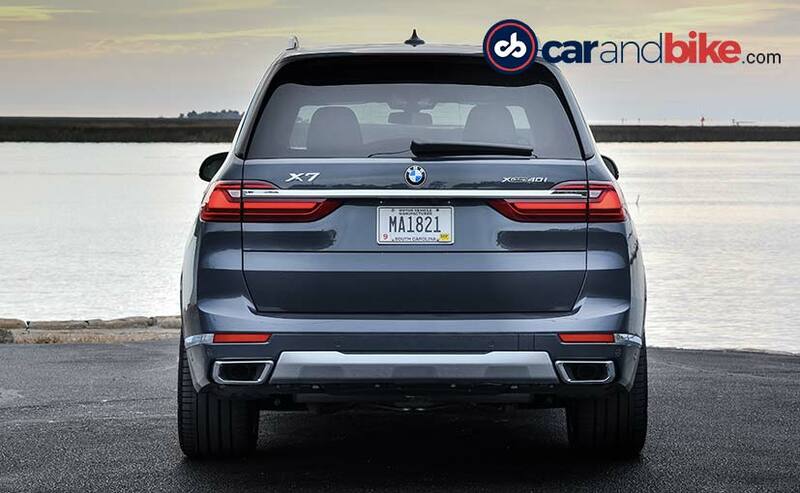 Everything that you've seen on the X range, and more so on the new X5 - you get on this car. 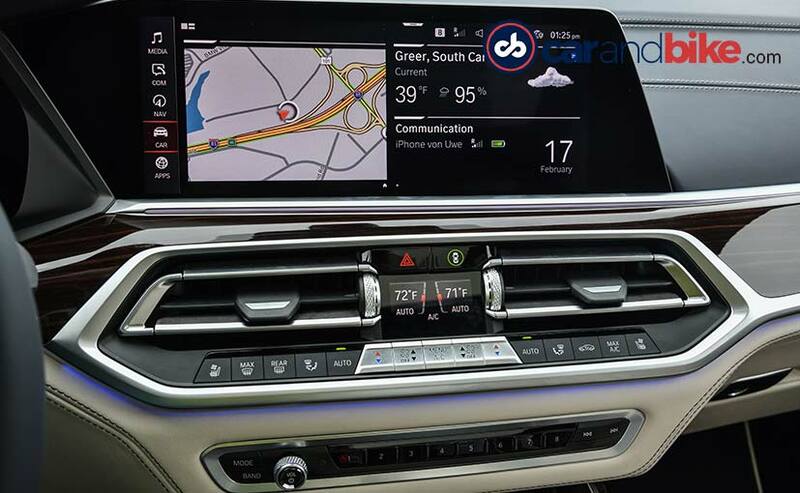 So you've got the voice guided assistant system - which means you say Hi BMW and the car will respond to all your driving and infotainment needs. You have also got the two 12.3-inch screens, including the virtual cluster, and updated graphics. 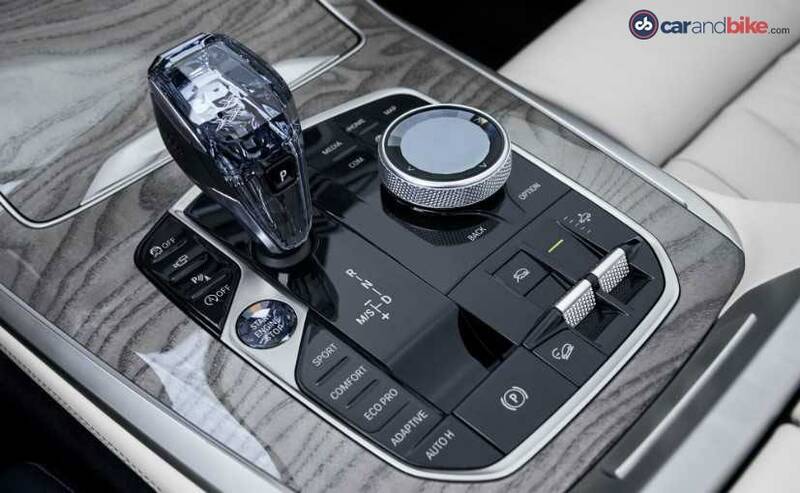 The latest iteration of the iDrive system as well, with the 'crafted clarity' crystal finish gear shifter, iDrive controller, and the start/stop button. It is nice because it's finished really well, so it doesn't come across as gimmicky or cheap. And then to complement all of that bling, some of the other surfaces are really nice. There's a muted matte metal on the door handles and some of the switches, wood and high gloss panels. Excellent craftsmanship, really good material quality and it all comes together very well. On the whole, you get a sense of being wrapped in great luxury and comfort, yet with a lot of technology and the latest features thrown in. You've also got gesture control and there are 8 different fragrances on the ambient air package now. Also you can have different themes on the interior, and that includes 6 different colours on the ambient light as well. I could go on and on, you name it and this car has it. The front cupholders have optional heating or cooling to keep you beverage hold or cold as you prefer. 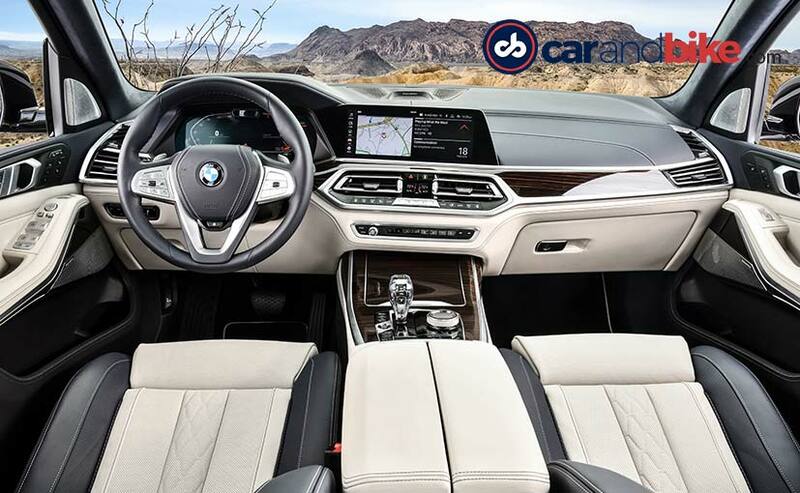 The flagship of the BMW X range, so no surprise it is the lap of luxury. 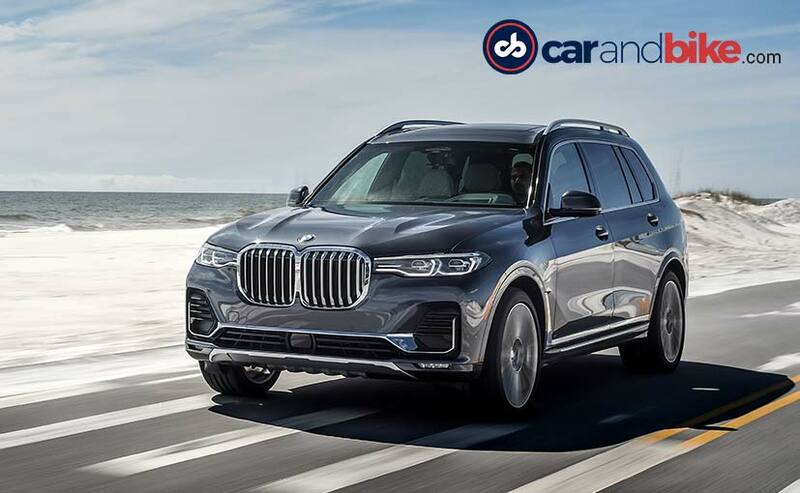 In the back, the big stand out design feature - you can get 6 seats, instead of the 7-seater standard configuration - for the first time from BMW. The 6-seat configuration is an optional extra though. In the Indian context, I think these individual 'captain seats' as we like to call them, will certainly be a big hit. They are really comfortable, use the best leather, best craftsmanship and materials all around. Lumbar support and contouring is also spot on, as is the under-thigh support. The Bowers & Wilkins 3D diamond surround sound system has 20 speakers and 1500 watt output. Goes without saying there are electric sun screens for the rear passengers and a massive panoramic sunroof. There is a glass section for the third row, but I will talk about it in a second, and the sunroof itself has the inbuilt Sky Lounge - an etched, embedded pattern on the glass. Like in the 7 Series, it has 15,000 possible graphic patterns with different light colours and patterns. That's just crazy! Two inbuilt, individual 10.2-inch screens for infotainment are also a standard feature. And yes they are touchscreens thankfully, so no rotary dials or controllers anywhere. You can watch videos or control the car's navigation, music, climate control, interior ambient lighting, - pretty much all iDrive functions from these screens. You can also watch something if you want to, and you've got a DVD player below the dual-zone climate control, where you also have individual headphone jacks, two USB charging points, and a power outlet. Two cupholders too of course! 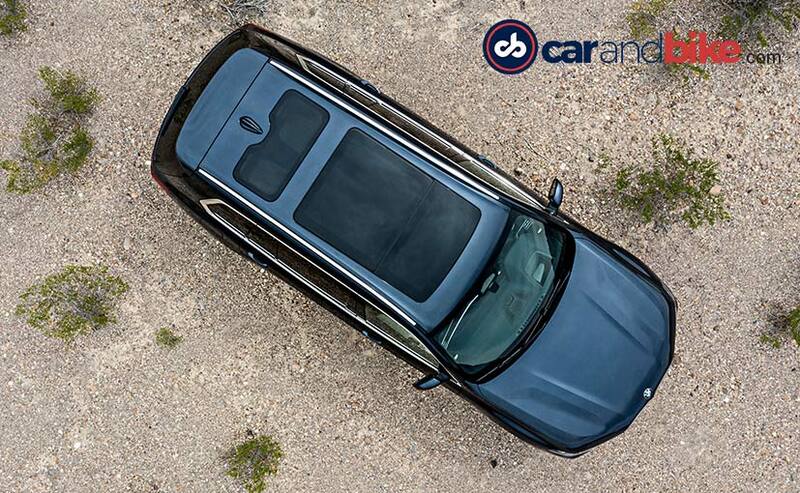 There is a lot of legroom - hardly surprising as this is the largest wheelbase car from the BMW X range ever! 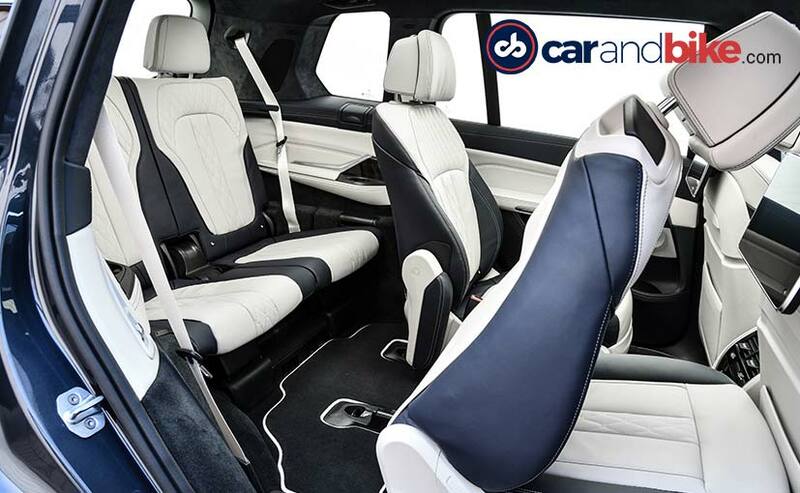 The BMW X7 is also the first at the Bavarian company to offer 3-row seating as standard. No car ever really gets a 3rd row that is ample in terms of comfort. Given that, you understand that legroom in the 3rd row isn't going to be generous anyway. Yet the 3rd row seat is fairly comfortable, and I have to say the back angle is especially nice. The seat itself can fold down electrically to give you more cargo space and all kinds of configuration options. The sense of space back here is I think one big credit to it because you have got a good amount of glass area, which makes you feel less cramped and cooped-up like some of the third rows do. The fact that you get your own bit of the panoramic roof is also nice. And so you don't really feel claustrophobic back here. Your own cupholder, your own little USB charging point and an impeccable finish overall. Throw in the really neat roof mounted AC controls and the 3rd row really does not come across as an afterthought, but rather ample in its overall offering. And it still leaves some roof for luggage: 326 litres to be precise. Fold down the 3rd row and you get 750 litres. Also fold the second row and it's a mammoth 2120 litres of cargo space. The second and third row seats can be manipulated and folded using buttons at the driver end, at the egress points from the rear doors, and also from the boot. This includes being able to slide any of the front or second row seats - so the driver for instance can provide instant room or access without having to get out and do it manually. That is pretty neat, and somewhat like the configurable seating on the Land Rover Discovery. 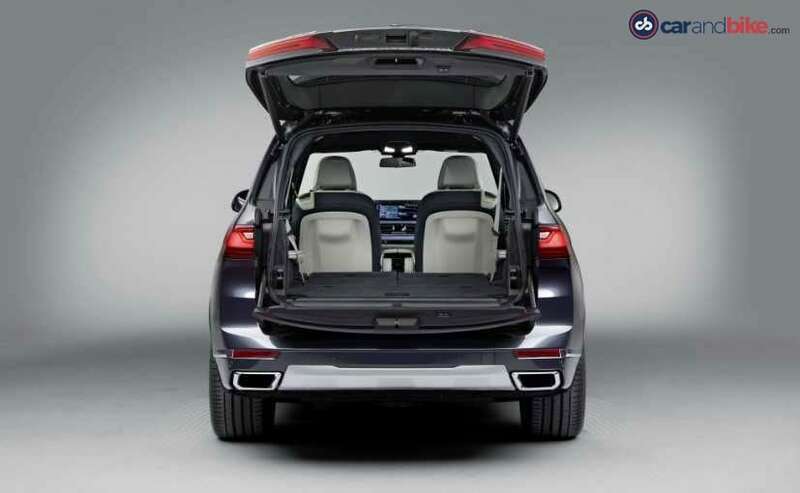 The boot has a split tailgate that is electrically foldable of course. A nice feature that is rather practical when loading cargo. It also reduces the weight and bulk of what would otherwise have been a very large and heavy door. Much of that trim is also customisable of course with 4 wood trims to choose from - an additional M Sport trim and 3 wood finishes in the BMW Individual line-up. There are also three kinds of leather with 8 to 9 colour options for them collectively. Even the car's roof headliner finish on the inside can be finished ivory, blue or grey alcantara. I did get ample drive time with the X7 but I want to state up front that it involved no off-roading whatsoever. That said the xDrive all-wheel drive does give you the xOffroad Modes that let you choose between xSand, xRocks, xGravel and xRocks for varying surfaces and terrains. This is similar to what we have seen on the X5 off late and did work effectively on that car. This is in addition to usual Sport, Comfort and Eco Pro drive modes. The air suspension allows for the chassis to be raised or lowered by 40 mm from its standard position. While the 40 mm rise helps the off-road modes, the Sport mode sees it dropping by 20 mm. At standstill you can drop an additional 20 mm for cargo loading or allowing easy ingress to passengers. There are lots of driver assistant features on board like lane-keep assist, and semi-autonomous features as well, which work in conjunction with the adaptive cruise control. This will help guide you through traffic and yes also allows you to take your hands off the wheel, though only momentarily. It goes without saying that the X7 does all of that well. The car's active steering will turn the rear wheels in the opposite direction at speeds below 60 kmph. This will help with manoeuvring in and out of parking spots, tight turns and traffic in general. At speeds higher than 60 kmph, the rear wheels turn in the same direction as the front to allow for agility and greater stability. This helps counter some of the car's very obvious bulk. Now the thing potential buyers would want to know about this car is about its ride quality. Given the massive wheelbase, you expect a fair amount in terms of comfort and yes - it does deliver on that front. Having said that, the particular spec of the X7 that I was driving had the 22-inch wheels. And so in some places that didn't feel as comfortable as you'd like. I am pretty sure that India will not be getting those huge wheels and so you can be pretty much assured of a very comfortable ride. The thing that will strike you as different is how BMW usually always talks about performance first when it comes to any of its cars - big or small. But the X7 is the first car where the focus is clearly on luxury and comfort - and it is obviously so in the messaging from BMW too. Surprising? Yes! But then it does have to be about the comfort or luxury aspect on this car because see who it's going up against. When you think about a car like the Mercedes-Benz GLS, nobody thinks about driving performance. The second thing of course which struck me is in the Indian context, it becomes even more relevant because - we know it is true. Buyers of this car in India will be planting their butts firmly in the second row! And yet the good news - or should I say the big relief for me is that the car does actually pack in some great performance too. Given the sheer length and overall dimensions, as also the weight of this car, you'd naturally assume performance takes a back seat. But the X7 delivers. It is a true BMW, it is a driver's car and its agility will surprise you. There is no sense of roll from it as well, and launching itself into the corner, it comes out nice and flat. You can take those corners, again and again - and the car will continue to do surprisingly well. I managed to put the X7 through its paces on a combination of highway, twisty country and beachside roads and even some empty stretches in a controlled environment where I could gun its engine. And it came through with flying colours. The 3.0-litre inline-six also sounds really nice! In fact it sounds a little better than I expected it would. The amount of torque you get from the engine I think is the real satisfying part from its performance because it's available to you in truckloads and comes in nice and low as well. The anti-roll bar and the independent air suspension certainly play the role they're meant to, giving you great stability, and I have to say it again - really no sense of roll whatsoever. The optional M Sport differential is only standard on the top spec diesel X7 M50d. It helps limit the equalisation of rotational speeds of the wheels on the inside and the outside of a corner, keeping the car stable and in control in very dynamic driving situations. Before you can ask I did step into the second and third rows, while being driven for shorter stretches of mixed road types. And yes it was no surprise just how comfortable I was - especially in row two. But I was quickly back in the driver's seat thank you very much, and continued to try the car's features and various drive modes. The 11.8 inch head-up display is very well laid out and offers plenty of information including graphical representation of upcoming turns or junctions from the navigation system. Wireless charging, all kinds of smartphone connectivity options including Apple CarPlay. 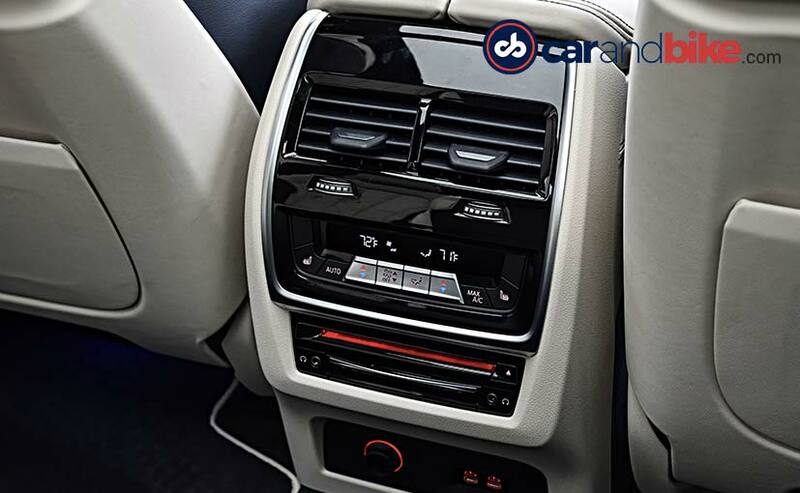 In India expect a lot of these features to be standard as the car is likely to be offered in only fully-loaded trims. This is due to the kind of clientele BMW would expect for it, as also the constraints of assembling the car in Chennai using CKD kits. 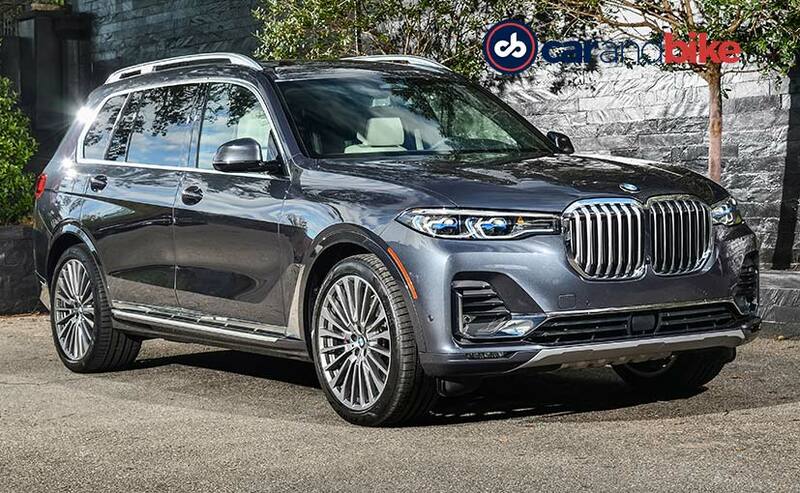 The BMW X7 will come to us in the later part of this year with the xDrive40i and xDrive30d as the likely engines. Prices should range from ₹ 90 Lakh to ₹ 1.15 Crore.